Theresa Bradley-Banta Real Estate Consultancy, a leading provider of multifamily real estate investing consulting and education, today announced it was the honored recipient of two Stevie® Awards at the 11th annual American Business Awards ceremony. Theresa Bradley-Banta Real Estate Consultancy was presented with the bronze award in the Company of the Year category. Companies like Apple Inc, VerticalResponse, ZAGG Inc, Xcel Energy, and the National Football League were among the other nominees. 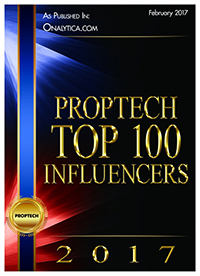 Theresa Bradley-Banta CEO and founder, also received the Executive of the Year award for real estate companies. The winners for the award category also included the CEOs of Enterprise Community Investment, Renters Warehouse and Farbman Group. Theresa Bradley-Banta Real Estate Consultancy is also named a Finalist in the Website category and will be awarded a bronze, silver or gold award at the September 16 new products and tech awards event in San Francisco, CA. Theresa Bradley-Banta Real Estate Consultancy offers individualized consulting services for every aspect of the multifamily real estate investment process providing support for a variety of specialized topics. The end goal is to increase client’s net worth, generate cash flow, and develop an investment portfolio through asset acquisition. The company inaugurated its first formal education program in 2009 offering three levels of support for: first time real estate investors; mid-level residential real estate investors moving into multifamily property acquisition; and seasoned real estate investors starting sophisticated real estate investment enterprises. More than 3,200 nominations from organizations of all sizes and in virtually every industry were submitted this year for consideration. 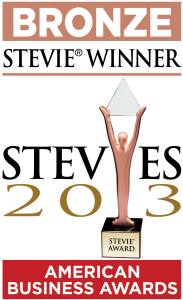 Stevie Award winners were selected by more than 320 executives nationwide who participated in the judging process this year. Theresa Bradley-Banta is an award-winning consultant, published author and sought after speaker on reality-based strategies for buying, owning and operating multifamily investment properties and apartment buildings. She has been featured in Equifax Small Business Blog, Chat With Women, The Lucy Ann Lance Show, The Fordyce Letter, and WLBY 1290 AM. Theresa provides a highly skilled sounding board for the professional investor’s ideas and investment strategies. Her website offers fresh, educational content including comprehensive, quality articles and resources; and clearly defined mentoring and consulting programs. She has become a trusted resource for investors from beginner to pro. Theresa lives in Colorado with her husband, Richard, who is an entrepreneur and an attorney. Her website and blog can found at www.theresabradleybanta.com. In 2012 Theresa Bradley-Banta was awarded the bronze award for Entrepreneur of the Year Stevie® Award for Women in Business, the leading national award for women in business, as Entrepreneur of the Year, Business Services, one of the award’s most important and competitive categories. Details about The American Business Awards and the lists of Stevie Award winners who were announced on June 17 are available at www.StevieAwards.com/ABA.